Prezentare In "Eyewitness: Ancient Rome," travel back in time and discover one of history's most remarkable civilizations from its vast empire and astounding engineering feats to the menu at a Roman dinner party. 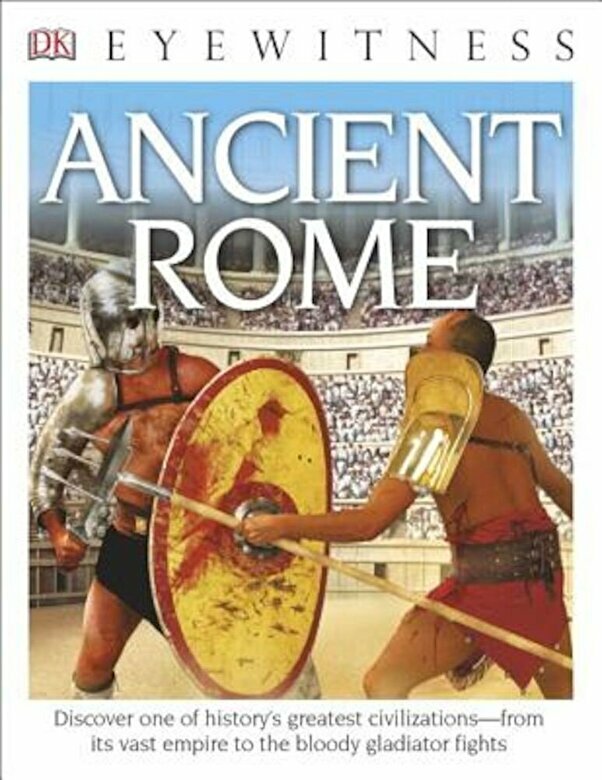 Explore the inside of the Colosseum and the battles that were fought within. Images and supported text throughout the book showcase the pottery, weapons, and other objects Ancient Romans left behind, the architecture they created, the gods they worshiped, family life, transportation, travel, trade, and more, giving an eyewitness account of this incredible empire. Each book retains the stunning artworks and photography from the groundbreaking original series, but the text has been reduced and reworked to speak more clearly to younger readers. Still on every colorful page: Vibrant annotated photographs and the integrated text-and-pictures approach that makes "Eyewitness" a perennial favorite of parents, teachers, and school-age kids."